Another Canadian energy firm has announced plans to scale back its operations in light of the weakened oil industry. CanElson will cut its capital spend by 80 per cent, put the completion of three rigs on hold and slash its quarterly dividend in half. 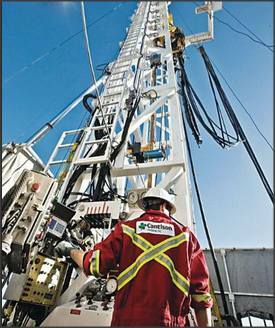 Currently 72 per cent of the Calgary-based firm’s rigs are active but it expects to reduce that number. Despite the cuts CanElson says it is in good shape to cope with the price cycles.